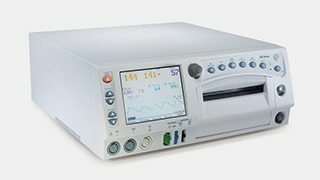 Whether you perform antepartum fetal monitoring in an office setting or in the hospital, Corometrics ™ 170 Series Fetal Monitor can help. You can trust our fetal monitors to help you improve the standard of care for your expecting mothers. We designed these compact, lightweight monitors to help you effectively and efficiently care for mom and baby by accurately and noninvasively tracking baby’s heart rate for non-stress tests. The 170 series is used with our Nautilus* ™ watertight and lightweight Toco and 9-crystal Ultrasound transducers for comfortable and reliable monitoring. We designed the cost-effective Corometrics 170 Series Fetal Monitors to help you make quick, accurate clinical assessments. The fetal heart rate alarm provides both audible and visual alerts if the heart rate is higher or lower than the range you set as normal. Independent volume controls make it easier to locate the transducer for most effective monitoring. There is an option to monitor twins. The large, easy-to-read LCD display clearly presents information about fetal heart rate and uterine activity. An optional mobile roll stand cart lets you transport the monitor and all of its necessary accessories. The GE Healthcare Mini Telemetry interface lets you monitor your patients even while they’re ambulatory. Centricity ™ Perinatal (CPN) compatibility that lets you capture and archive your patient’s data, which helps speed up workflow and ensures data availability. Optional Fetal Movement Detection Software that automatically senses fetal movement and annotates its occurrence on the strip chart. Nautilus watertight toco and 9-crystal ultrasound transducers for hydrotherapy and bedside monitoring. 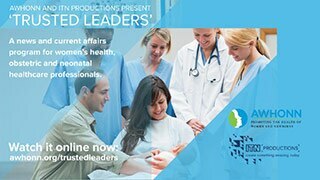 Intuitive perinatal software to help you deliver your best care to every mother and baby. From Labor & Delivery to the Nursery and Neonatal Intensive Care Unit (NICU), Centricity™ Perinatal is designed to help you manage information in ways that are more meaningful to you so you can interact with mothers in ways that are more meaningful to them.